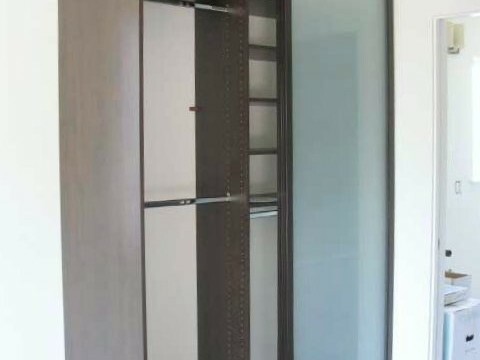 This is a Chocolate Pear Melamine Free Standing Closet System or a closet where there is no closet. 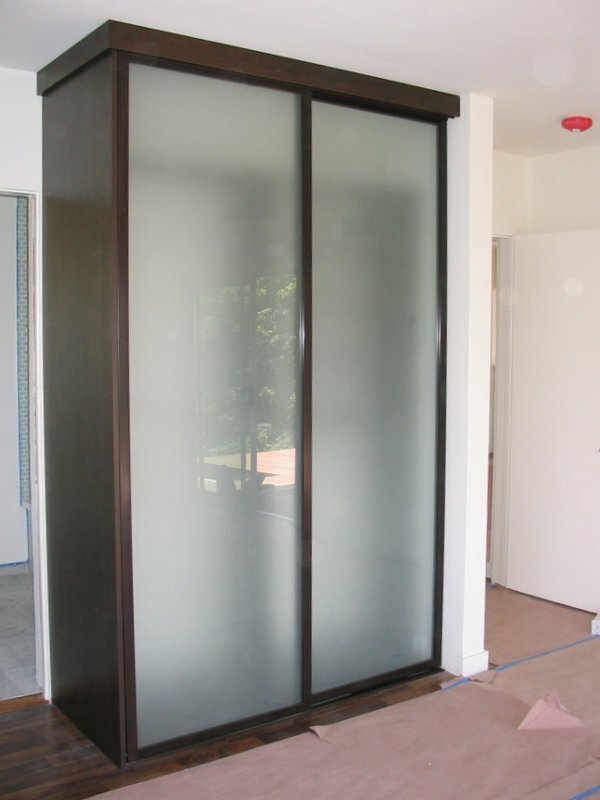 Build from 3/4″ Chocolate Pear Melamine and incorporating Lami-Glass wardrobe doors. The interior is designed with hanging and adjustable shelves.